– I’m currently putting this gift guide together using this awesome 2 in 1. It’s super lightweight at only 2.4 lbs. and extremely thin making it the best alternative to a laptop. 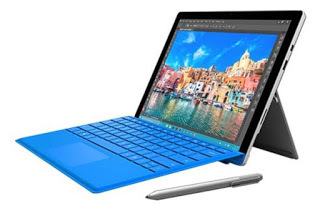 The Surface Pro 4 is the perfect holiday gift for a loved one looking for a device for work or play — especially for the student who doesn’t want to schlep around a heavy computer laptop. Powered by an Intel Core processor, it offers up to nine hours of battery life. Paired with the $60 Surface Pen you can use it for detailed sketches and handwritten notes.